Upon arriving at the Audubon Society of Missouri Fall Meeting at Lake of the Ozarks State Park we quickly learned there's a rare Say's Phoebe not far away. Off we went. 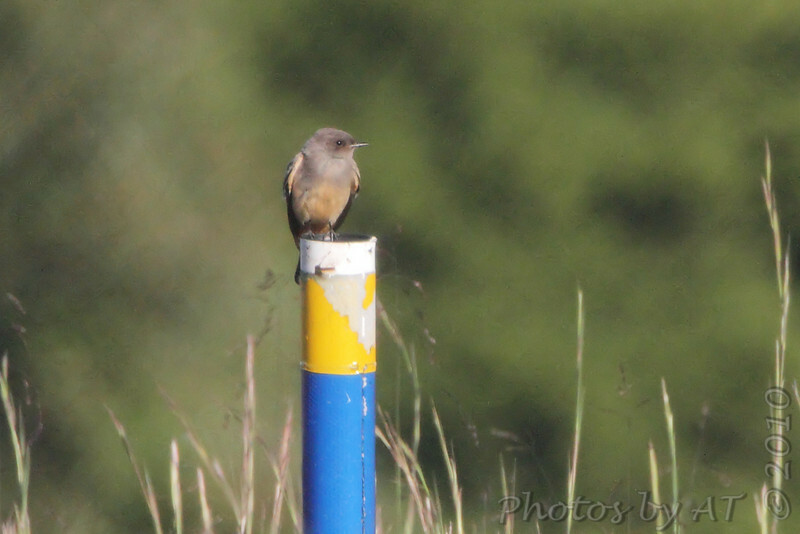 It didn't take long to find it and I added the Say's Phoebe as my 289th "Bird Species Photographed in Missouri". 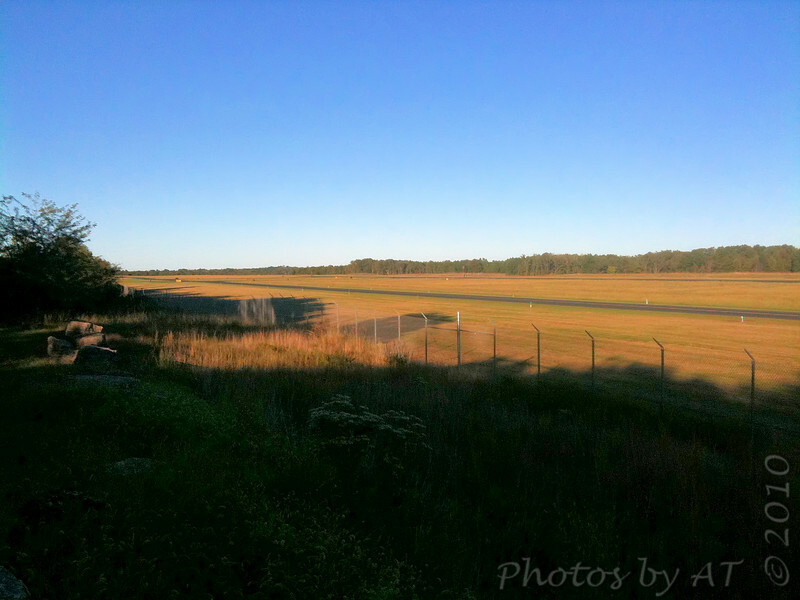 Say's Phoebe spotted 330 yards out there to the right of the orange marker in the left center of photo by the taxiway intersection at the Camden County (Lee C. Fine) Airport. 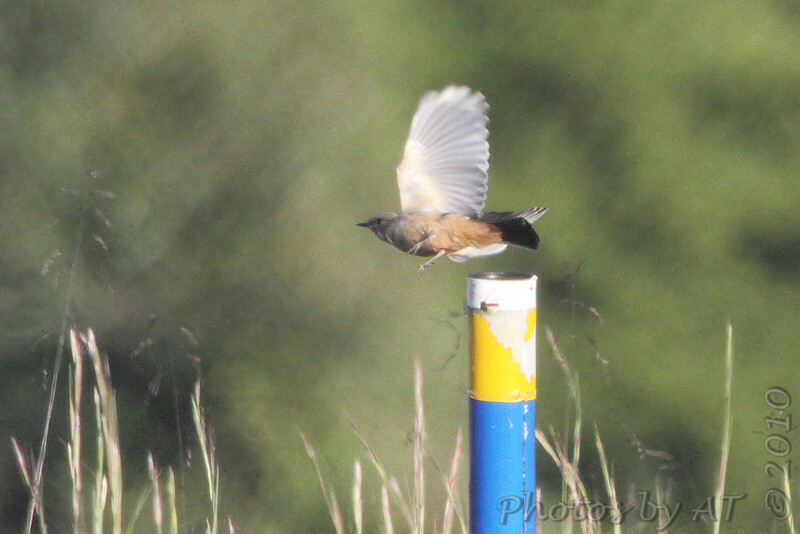 After the other birders left I moved closer through the weeds along the fence and it flew within 60 yards for better photos. Wow, did it again, Al.. great pictures..